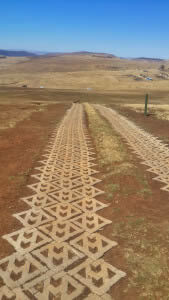 The construction paving of Cofimvaba Access Road was done in preparation of the proposed Sentech Broadcasting mast situated on Magwala Hill (Helmet Hill), in Nonqoboqobana Village, Cofimvaba, Eastern Cape Province. 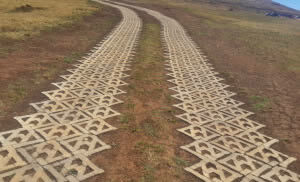 “The area is also populated by small and larger agricultural holdings that are utilized for farming. “As a result there is a larger need and desirability for television and radio support services, of which this mast forms a part of. 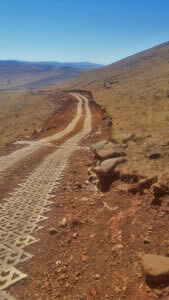 Mobicast, Terraforce licensee in George, Western Cape, delivered a total of 25 000 Terracrete blocks to Cofimvaba between February and July 2014.